We went to orchard park this morning. You went to there many times! 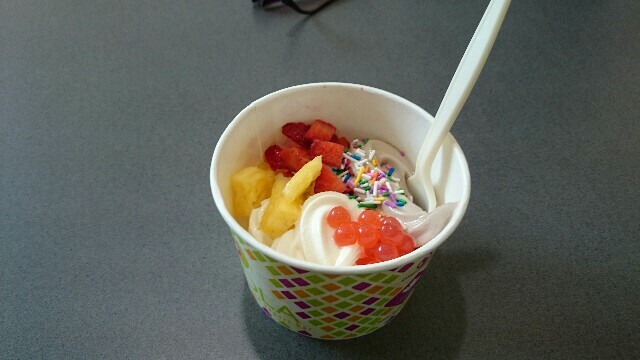 I ate frozen yogurt with my friends. I did presentation in today's lesson. I must do presentation and write an essay in this program. I finished them, so I'm free. I have only existing things. I'm existed to visit Vancouver. I'm leaving here tomorrow morning. I feel that 1 month was very short. I'm leaving for school for graduation ceremony from now.